Contains a 30 pk. of Standard R-Type Blades and a 2 oz. Blade Glide Lotion. 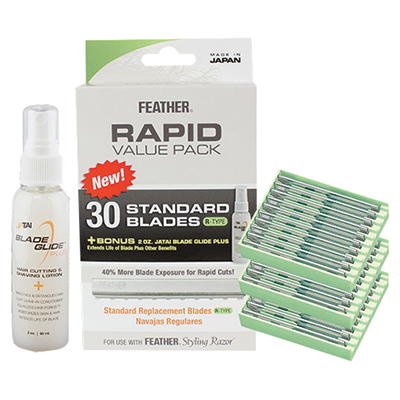 R-Type Blades pair perfectly with any Feather Styling Razor and have 40% more blade exposure, minimizing cutting time. The Blade Glide Lotion makes cutting smoother and faster while extending the life of blades.